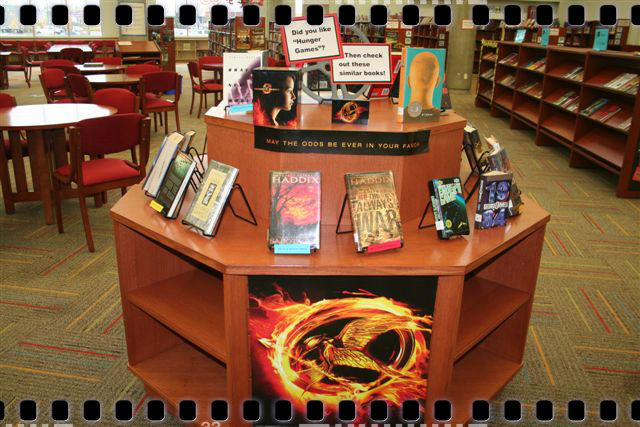 Fresh off the Hunger Games movie, we knew the school year was going to start off with a flurry of interest in the book. Even though we had many copies, we knew the series would fly off the shelves, so we made a read-alike display. Using a movie reel, a Hunger Games poster and DVD box, we pulled similar dystopian-themed titles. 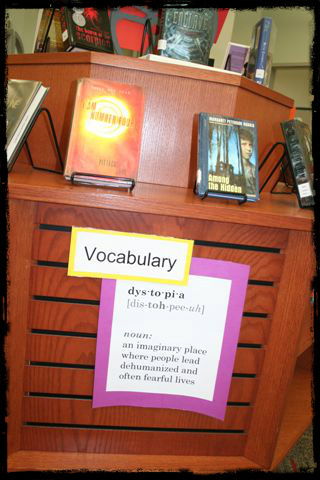 This display was emptied almost everyday with kids snatching up the books – luckily this is a well-stocked genre! an imaginary place where people lead dehumanized and often fearful lives.